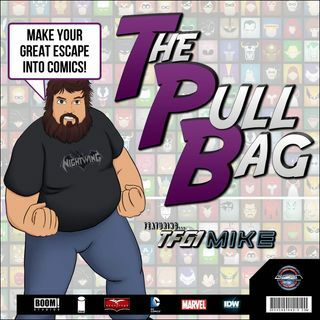 In the 136th episode of The Pull Bag we DEVIATE!Joe Reed joins TFG1Mike to review the Ghostbusters and TMNT Deviations issues, but sandwiched in the middle are Beatlesdiva the "Pinkie Pie of Podcasting", LadyWreck, and Ha-Hee Prime reviewing the Transformers Deviations issue..... So jump inside The Pull Bag as we find out what happens when you don't cross the streams, when Optimus Prime lives, and when the TMNT join Shredder! As always remember to MAKE YOUR GREAT ESCAPE into ... See More Comics!!! !